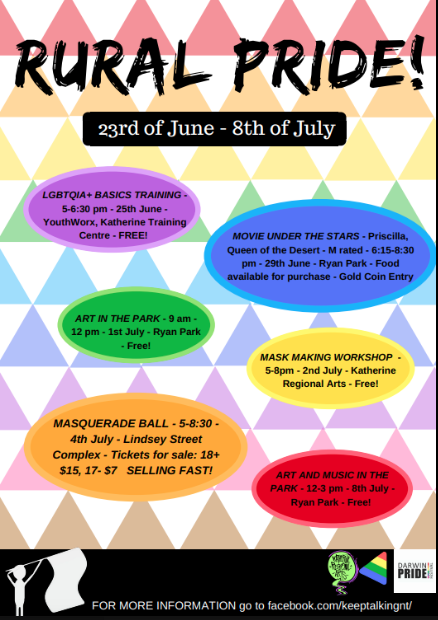 Come and watch Pride (2014) the movie under the stars on Katherine Regional Arts’ Solar Cinema for a gold coin donation. Bring cushions, snacks and chairs along and be ready for a night of education and entertainment. The film is rated M for mild sexual content and mild language. Want to see more rainbow around Darwin?